Federal capital defendants are disproportionately sentenced to death in Missouri compared to other states, with 14.5% of the 62 prisoners currently on federal death row having been prosecuted in Missouri's federal district courts. By contrast, a DPIC analysis of FBI Uniform Crime Reporting Statistics shows that Missouri accounted for only 2.26% of murders in the United States between 1988, when the current federal death penalty statute was adopted, and 2012. Not surprisingly, an article in The Guardian by David Rose reports that, since the 1990s, the chances that a defendant will be sentenced to death in a Missouri federal court are significantly greater than in other federal jurisdictions. Rose suggests that the questionable performance of defense counsel and repeated failures to investigate and present mitigating evidence relating to the backgrounds and life histories of Missouri federal capital defendants has significantly contributed to that disparity. Though federal funding for defense attorneys is more generous than state funding, Rose says the federal death penalty system shows evidence of the same failures in representation that so often appear in state death penalty cases. Four of the nine prisoners sentenced to death in Missouri were represented by the same lawyer, Frederick Duchardt. In the three cases of Duchardt's clients that have reached the appeals stage, all three raised claims of ineffective assistance of counsel. 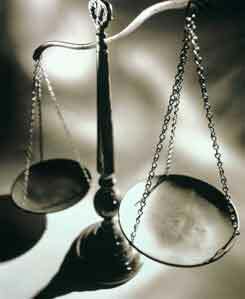 In each case, Duchardt failed to employ a mitigation specialist, in violation of American Bar Association guidelines. Mitigation specialists investigate a client's background to find evidence that may convince a jury to impose a sentence less than death. Duchardt's clients all suffered serious abuse during their childhoods. One had an IQ of 68, placing him on the threshold of intellectual disability. Another had been diagnosed with psychosis, bipolar disorder, and post-traumatic stress disorder. None of these issues were presented to the jury, a decision Duchardt later claimed was "strategic," but which his client's appeal attorneys argue was a result of failure to prepare or investigate. Professor Sean O'Brien of the University of Missouri Law School, described the appointment of counsel for indigent defendants as a "lottery," saying, "Many defendants lose that lottery, and they get a lawyer more worried more about pleasing the court and the prosecutor than about fighting for the client. Those are the ones who die. When one lawyer produces nearly half the federal death sentences in a state, there’s a problem." 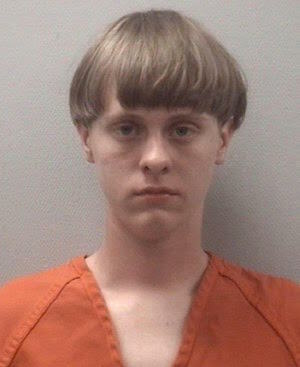 U.S. District Court Judge Richard M. Gergel granted a request on November 28 from Dylann Roof (pictured), the 22-year-old charged with the murders of nine members of the Emanuel African Methodist Episcopal Church in Charleston, South Carolina, to represent himself in his federal capital trial. Judge Gergel described Roof's decision as “strategically unwise,” but said, “It is a decision you have the right to make.” A criminal defendant's right to self-representation was established by the Supreme Court in 1975 in Farretta v. California, a non-capital case where the Court held that a defendant may waive his right to counsel provided such waiver is knowing, voluntarily, and intelligent. In Roof's trial, the judge had temporarily halted jury selection in the trial on November 7, when Roof's attorneys requested a determination of Roof's mental competency to stand trial. After a two-day hearing, which was closed to the public because statements Roof made to a psychologist might taint the trial, Judge Gergel found Roof fit to stand trial. Jury selection is set to begin on November 28th, with 516 potential jurors reporting to the courthouse for questioning. After Roof's federal trial, the state of South Carolina also plans to try him. He faces a death sentence in both trials. While the Supreme Court has not addressed whether a capital defendant may waive his right to counsel, death penalty experts have argued that such defendants should not be allowed to represent themselves, because of the complexity of capital cases and the finality of the sentence. Cornell Law Professor John Blume wrote, "when it comes to a criminal defendant facing society's ultimate punishment, the defendant's more symbolic interests in dignity and autonomy are outweighed by the criminal justice system's interests, as well as society as a whole's interests, in accuracy and fairness." Last year, a Kansas judge permitted White Supremacist Frazier Glenn Cross to represent himself in a case in which he was charged with murders at a Kansas City Jewish Community Center. His lawyers had intended to present a mental health defense to the murders. After a controversial trial punctuated by outbursts by the defendant, the jury sentenced Cross to death. U.S. District Court Judge Geoffrey Crawford has ordered an evidentiary hearing on Donald Fell's (pictured) challenge to the constitutionality of the federal death penalty. In court filings seeking to bar federal prosecutors from seeking death against him in a pending retrial, Fell has argued that the federal death penalty constitutes cruel and unusual punishment in violation of the Fifth and Eighth Amendments to the U.S. Constitution. Among other grounds, he has asserted that the death penalty no longer comports with contemporaneous U.S. values and that there are significant racial and geographic disparities in the manner in which the federal death penalty has been applied. Fell was sentenced to death in Vermont on federal murder charges, a sentence he could not have received in state court because Vermont does not have the death penalty. His conviction was overturned because of juror misconduct, and he is facing a retrial in 2017. In the order calling for a hearing, Judge Crawford wrote, "Preliminarily, and with an open mind about the arguments recently made by both sides, the court is looking at the constitutional challenge to the death penalty." He said that, despite efforts in the 1970s to remedy constitutional problems, "40 years later the question of a systemic violation of the Eighth Amendment remains."